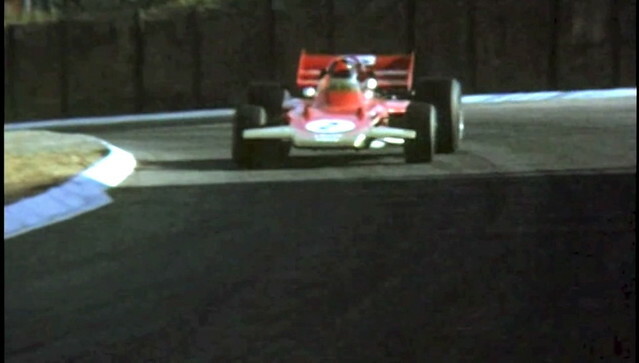 I found this fantastic footage on YouTube shot in 1971 South African Grand Prix in Kyalami by Brian Watson on a classic Nizo Super 8. Footage looked fantastic,( I have an Nizo 481... I should really try it out once), the music didn't quite work for me, so I gave it a bit of the Axis treatment, I hope Mr. Watson does not mind! François! Emmo! Wonderous! Thank you. Nice - don't see that in F1 anymore...back when it took not only balls to race but big balls! @AC: you're right, today's F1 has different challenges, but this doesn't mean that we have to like the change. Basically, I think that now F1 is great for the technology enthusiasts (luckily I'm among those), but there's not much to be excited when you watch it. The difference is that looking at this video gave me shivers, seeing so much smoke coming from the Tyrrel's rear left tyre, seeing the drivers cope with that slip angle, it's simply amazing. I think that's a Matra, not a Tyrrel. I think at the time BRM had Yardley sponsorship so that might make it Jo Siffert or Rodriguez.